“Yesterday we saw an unprecedented tidal wave of cash from Bruce Rauner and a few of his billionaire friends rejected by millions of Illinois voters who value fairness and fair play, who believe that the budget should NOT be balanced on the backs of the most vulnerable and those least able to pay, and who reject an agenda that caters only to a handful of millionaires and billionaires. “Illinois held the line against national trends and we are proud to have been part of a movement that proves that organized people can beat organized money. 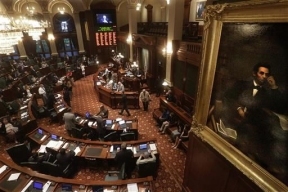 In this vein, voters in Illinois sent back to Springfield a General Assembly overwhelmingly opposed to the Rauner agenda, which includes unconscionable cuts to home healthcare for seniors and people with disabilities, and cuts to child care, which helps working families. 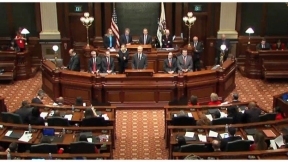 “Republican legislative candidates were forced to run directly AWAY from the Rauner agenda. Challengers were outspent by substantial margins and, even facing those odds and while Rauner picked up a few seats, a champion like Katie Stuart was able to prevail against an entrenched incumbent. And in the one place where the Rauner agenda WAS on the ballot statewide, Susana Mendoza was able to defeat his self-proclaimed “wing man,” who was directly associated with the signature feature of this governor’s administration, his failure to properly prioritize and fund social services for children, seniors and people with disabilities. © 2025 Chicago Hispanic Newspaper, Lawndale News, Hispanic Bilingual Newspapers, Su Noticiero Bilingue. All rights reserved. XHTML / CSS Valid.